Held annually on the magnificent French Riviera, Monte Carlo Rolex Masters is the first of three “Roland Garros series” outdoor clay tournaments and one of the favorite spots of top ATP players, such as Federer, Nadal, Djokovic, & Murray. The tournament takes place in the beautiful environment of Monte Carlo Country Club, which provides spectators with world-class tennis, as well as magnificent views of Mediterranean Sea. Many tennis fans also consider the Monte Carlo Masters an excellent predictor of who will do well at the French Open. As a destination, Monte Carlo is amazing. After long hours of watching tennis, you may relax on the beach or by the pool, enjoy luxurious shopping of internationally well-known designer brands, experience high-end cuisine from world’s great chefs or have some fun at the casinos. No wonder so many top WTA & ATP players claim their residence in Monte Carlo! 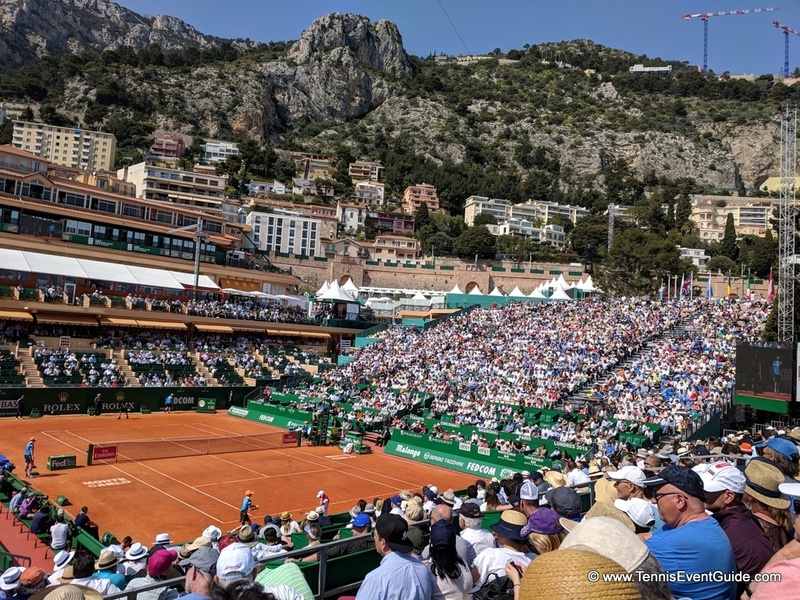 Ticket Resellers –StubHub and Viagogo – while these sites are not "officially" approved by the Monte Carlo Masters, they do allow those who REALLY want to watch an opportunity to buy tickets in advance for their specific date, time and match. These are also VERY reputable companies, with excellent customer service and 100% guaranteed tickets. Our recommended reseller sites for the Monte Carlo Masters include StubHub and Viagogo. Check out all our great Monte Carlo Masters Tips for attending. We offer you our top Monte Carlo Masters Tips for attending, having just gone last week and it’s still fresh in our minds. We learned tons of insider information on the best seats, taxis around Monte Carlo, the best dining spots, catching the greats on the practice courts and trying for autographs and much more, so here are our top Monte Carlo Masters tips. There are some fantastic and gorgeous hotels all walking distance from the MCCC going from West (MCCC) to East (Monte Carlo City Center), in total about a 20 minute walk along the beach. Monte-Carlo Beach (Relais & Châteaux) is a super high-end hotel located just next door to the Monte-Carlo Rolex Masters. 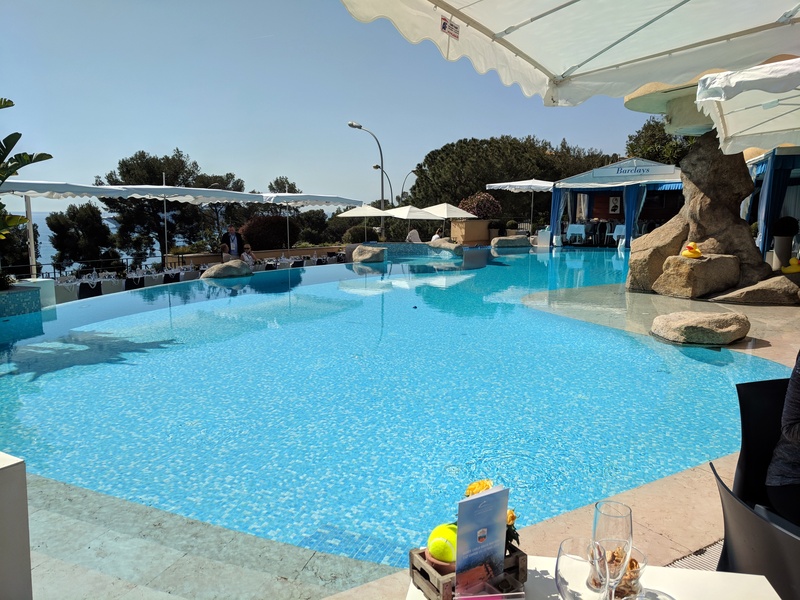 If you are looking for a quiet relaxing vacation, private hotel beach, courteous and charming staff, 1st class service and exceptional cuisine, Monte-Carlo Beach is definitely your top pick. Unique, luxurious, elegant and a 1 minute walk to the tournament. Monte-Carlo Bay & Resort (0.2 mile) – Stay with the players! Situated on the Larvotto peninsula, and rated for the best value in Monte-Carlo, this property provides guests with 4 hectares of beautiful gardens and breathtaking sea views. The hotel is decked out in tennis decoration during the tournament and many of the players and their teams stay here. In addition, visitors are welcome to enjoy a hotel casino, spa, hot tubs, and a lagoon with a waterfall. The best thing about Monte-Carlo Bay & Resort is that it is about an 8 minute walk (0.2 mile) from the Monte-Carlo Country Club! However, if you are interested in gambling and world class shopping, you may be better off staying in closer proximity to the City Centre, and enjoying one of hotels there. Novotel Monte-Carlo – mid-class modern hotel, located only 260 yards from the train station. Port Palace, a 4-star boutique hotel and a place of legendary Grand Prix circuit and the Monaco Yacht Show (only 5 minutes walking distance from Monaco train station), you will gain an easy access to the casinos, luxurious boutiques, bar lounges and night clubs! Hôtel Hermitage Monte-Carlo – If you want to go all out and splurge, you will find no better hotel anywhere than the Hôtel Hermitage Monte-Carlo, which offers a free shuttle bus to the tournament. It’s also pretty easy to sneak onto this shuttle bus if you are staying at any of the other nearby hotels, as guests at the Hôtel de Paris and Hôtel Hermitage benefit from a free shuttle service to the Monte-Carlo Beach Club, free access to the club, deck chairs, floats, parasols (subject to availability), changing rooms and towels. We found some great and very affordable apartments right in the heart of Monte Carlo, either a 20 minute walk to the tournament or a train ride away. We also found one apartment you should definitely NOT rent! Monte Carlo View Apartment – well decorated, central location, very comfortable (3rd floor stairs). https://www.airbnb.com/rooms/23620333 – Do NOT rent this apartment! It was a terrible stay and the owner is nuts, coming over during our last night at 9pm trying to kick us out because we needed the key to exit the apartment the next morning. Seriously, don’t ask, just don’t book it. Insider Tip: If walking along the beach to or from the tournament, be sure to stop by Miami Plage Restaurant on the beach with a view of the ocean. It was our favorite meal while there and was a perfect place to unwind after the finals at around 5pm. Want to support Djokovic? Have a meal at his healthy and organic restaurant, Eqvita. Considering the traffic, it is highly recommended to arrive at the Monte Carlo Country Club by train. Get off at “Monte-Carlo Country Club” station between Monaco and Roquebrune Cap Martin, located approximately 600 meters from the site. You may also utilize buses 1, 4, & 6 if needed, which will take you from the station to Monte Carlo Country Club (free of charge upon presentation of a tennis ticket to driver). Also, there will be free shuttle buses along the sea edge from Portier roundabout to the avenue Princesse Grace. However, the easiest and the fastest way to get to the Monte Carlo Country Club from your hotel is to stay at one within walking distance. Thanks to the rail service that stops at the “Monte-Carlo Country Club” station (located between the Monaco/Monte-Carlo station and Roquebrune) situated just 600 meters from the gates of the Monte-Carlo Rolex Masters site, you will be able to arrive at the tournament with ease, speed and in comfort. 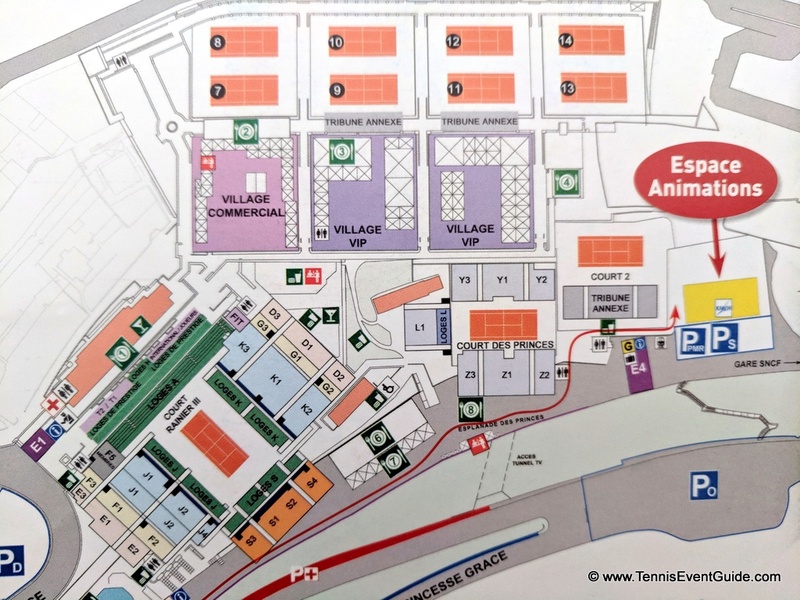 Passengers may also alight at the Monaco/Monte-Carlo station and arrive at the Monte-Carlo Country Club on the 1, 4 or 6 Monaco bus lines, in the direction of St Roman or the Larvotto (free access upon presentation of tennis ticket).